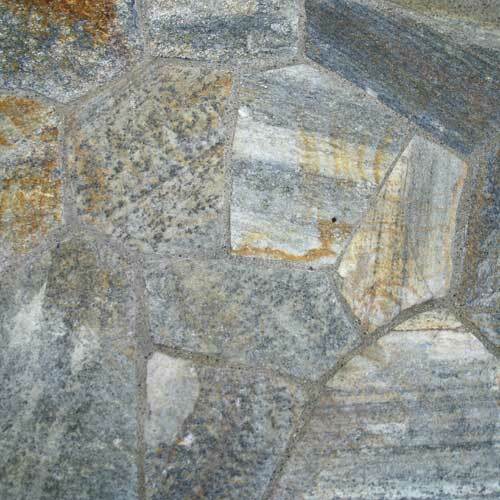 Flagstone is a term used to describe flat pieces of stone that have been quarried and cut into various thicknesses. 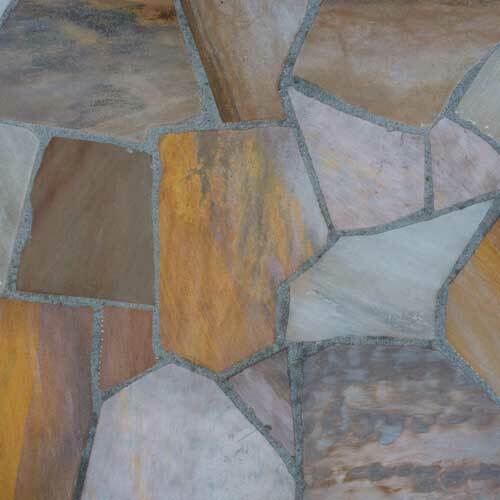 Flagstone landscaping rocks include quartzites, slates, and sandstones. 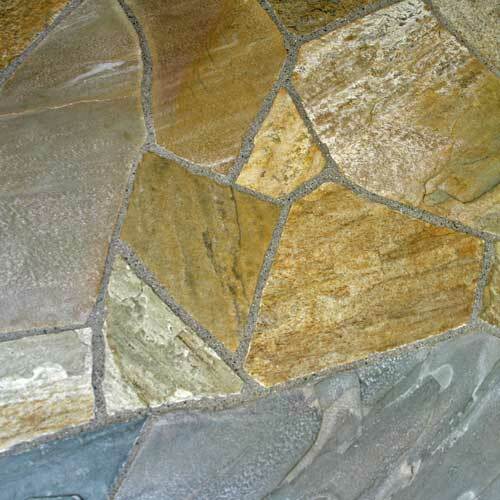 Flagstone landscaping rocks are perfect for creating stone patios, stone pathways, steps through garden areas, pool coping, and a variety of other uses. 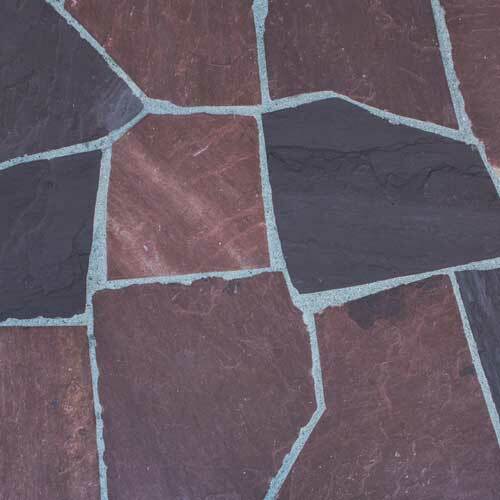 NOTE: Product availability will vary by location. Color may vary by load. 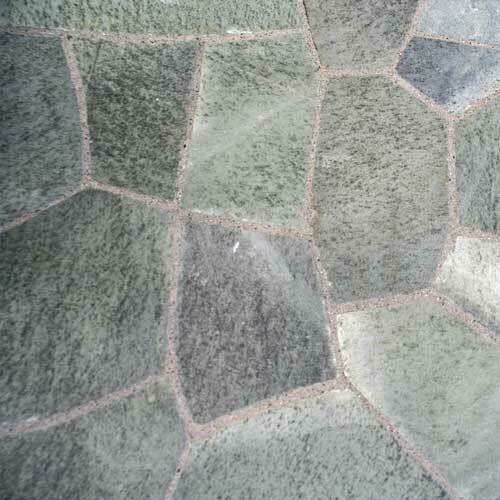 To ensure satisfaction, please view actual product samples. 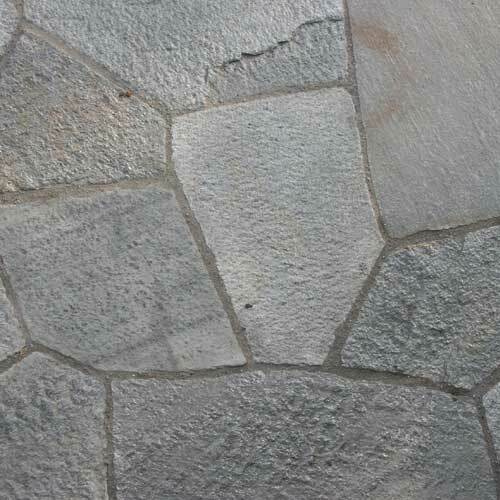 What are the different types of Flagstone? 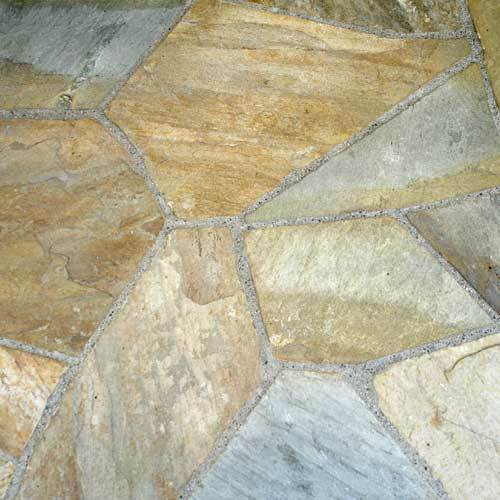 When flagstone is quarried it is cut into a variety of thicknesses, each supporting a different use. 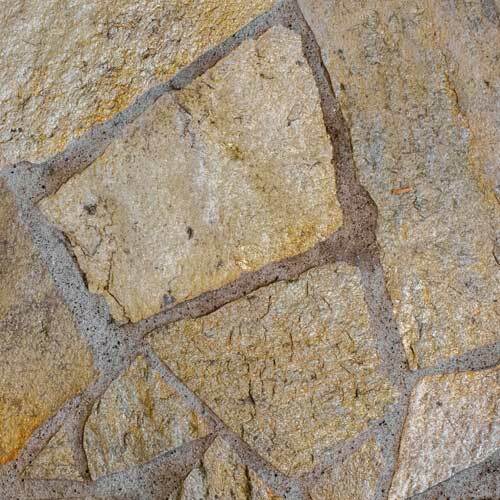 Below is a brief description of the standard cuts available. 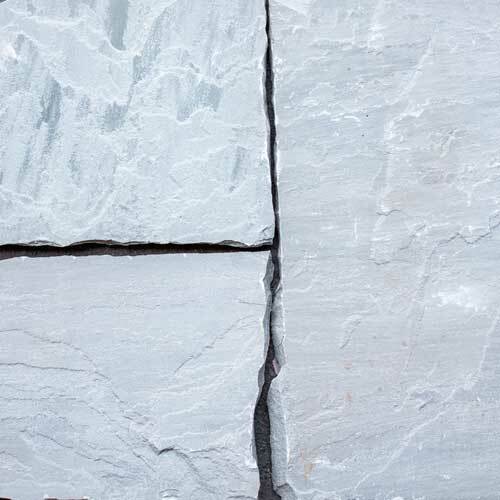 NOTE: Not all styles are available in every cut. 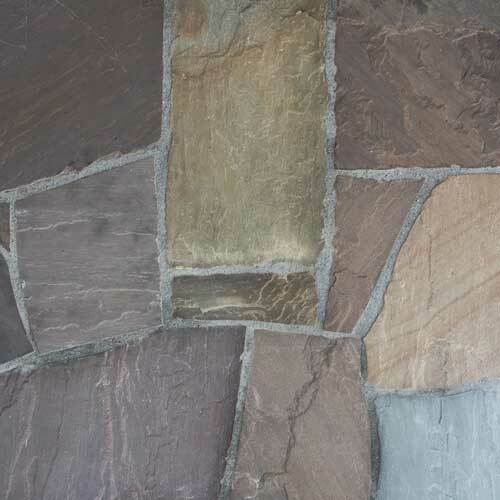 Thickness: 1.5" Minus - Thin flagstone is normally used in instances where the stone will be placed over a concrete slab and mortared into place. 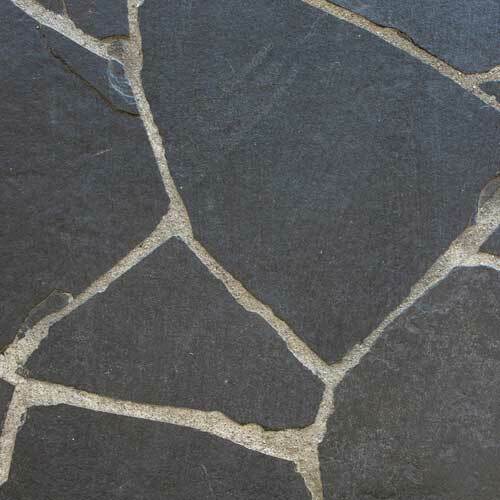 This is due to the thin thickness of this style of flagstone, which could easily break if set in sand. 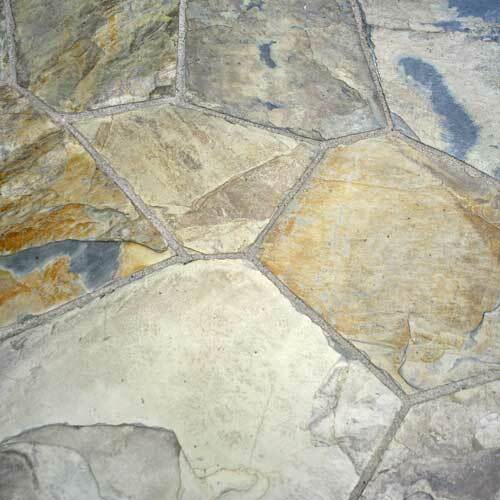 Thin flagstone is great for stone patios, stairs, and walkways. 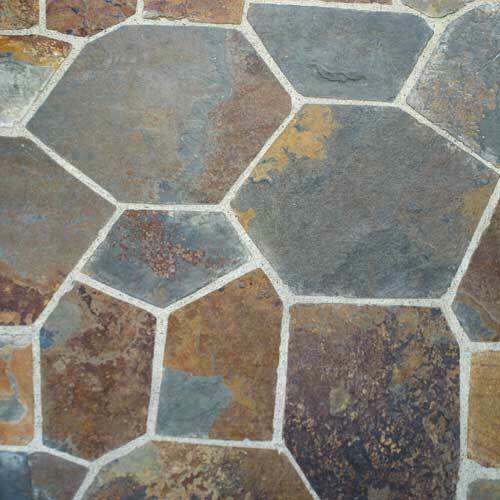 When looking at price per square foot, you will get significantly more thin flagstone than regular flagstone for the same price. 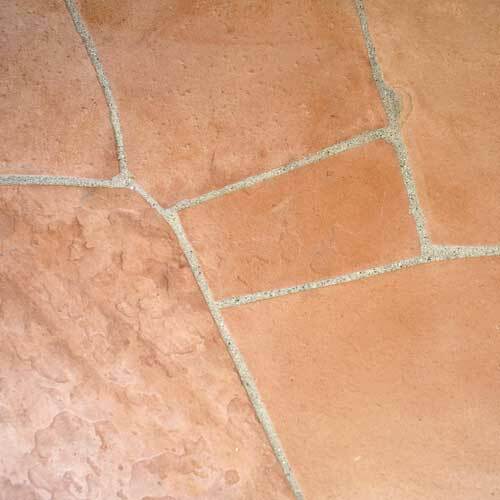 Thickness: 1"-2.5" - Regular flagstone is traditionally set in sand or dg. 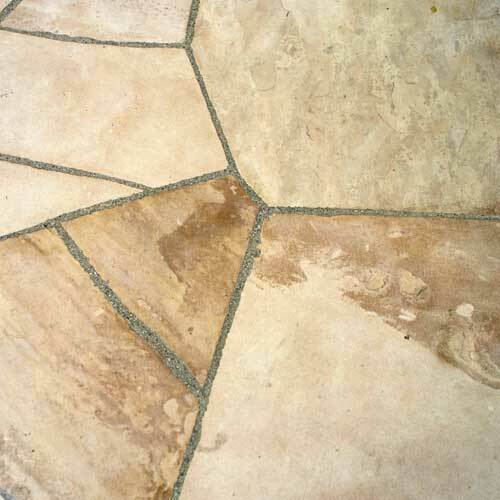 An underlaying concrete slab is usually not needed as this flagstone can normally stand up to regular foot traffic. 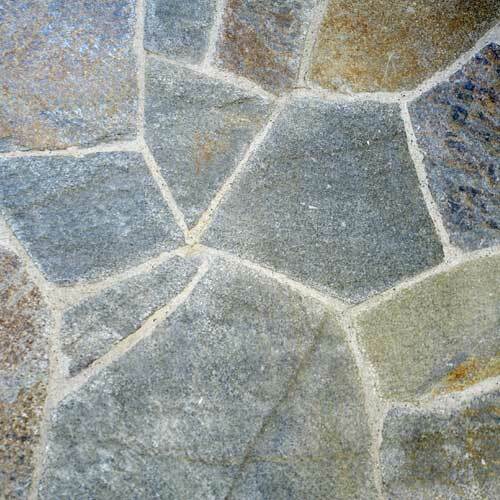 Regular flagstone can be used when creating natural stone pathways, stepping stones through gardens, or other decorative features. 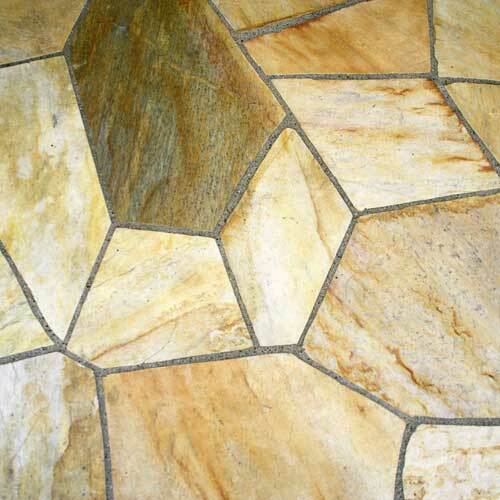 Regular flagstone comes in large sheets of stone. 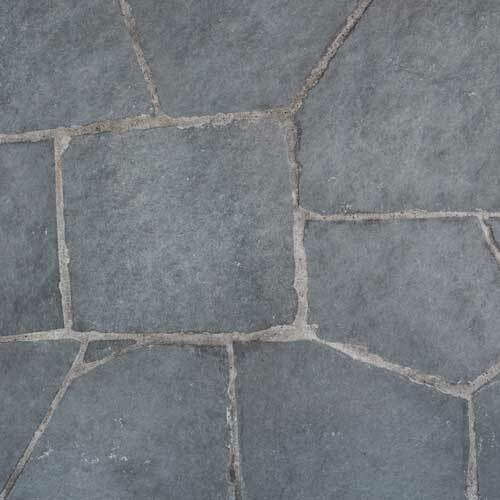 Thickness: 1"-2.5"; Smaller Pieces - Patio grade flagstone is basically regular flagstone, but that has broken up into smaller, easy to handle pieces. 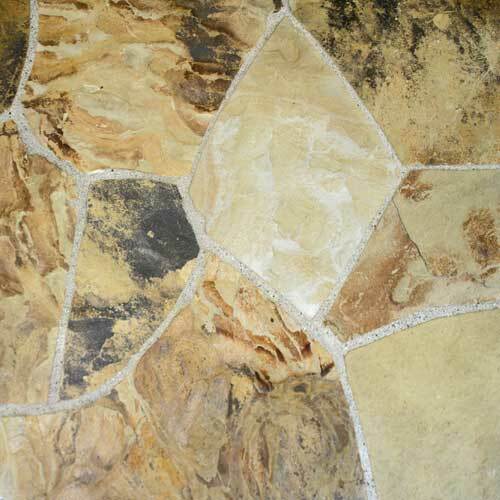 Patio grade flagstone is normally less expensive than the regular style flagstone in the same color. 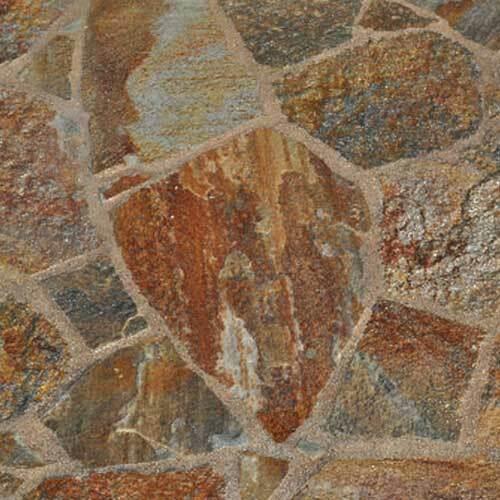 Ideal for projects or designs that require many smaller pieces of stone (not large sheets). 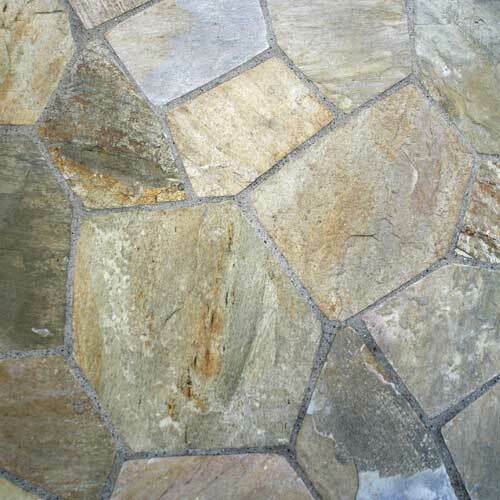 Thickness: 1.5"-4"; Weathered Look - Tumbled flagstone has been tumbled to give it a soft-edged, weathered look. 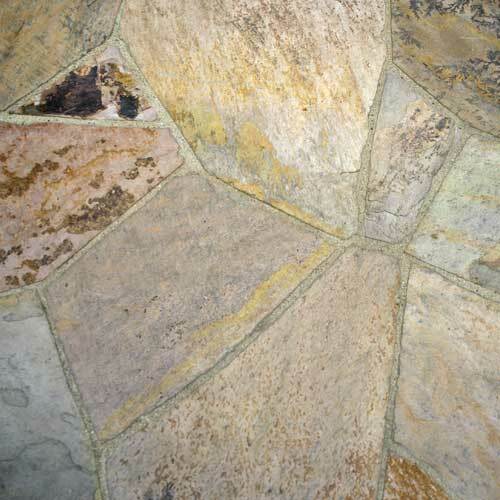 Tumbled flagstone is normally available in larger thicknesses than other cuts as the tumbling process can be quite rough, requiring a thicker stone to stand up to it. 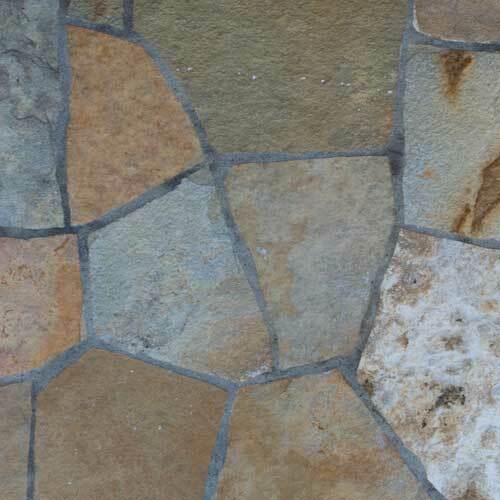 As far as cost is concerned, tumbled flagstone can be on the higher end. 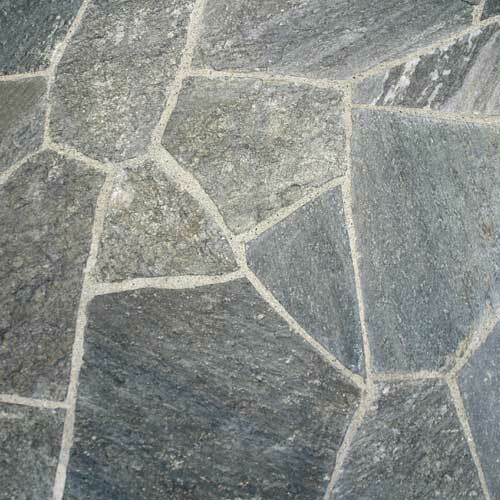 Prefabricated interlocking sections of stone - Flagmats are precut pieces of quality natural stone affixed to mesh backing for easy handling and installation. 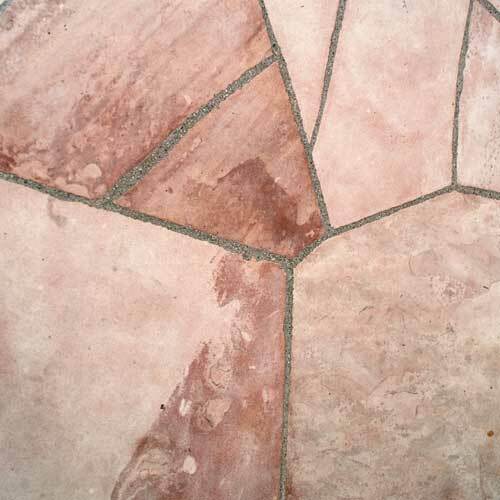 Flagmats fits together similar to a puzzle, reducing time and difficulty of installation. 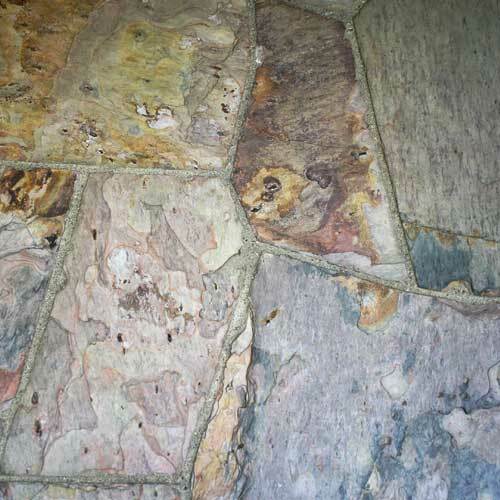 Each flagmat covers 5.38 sqft.